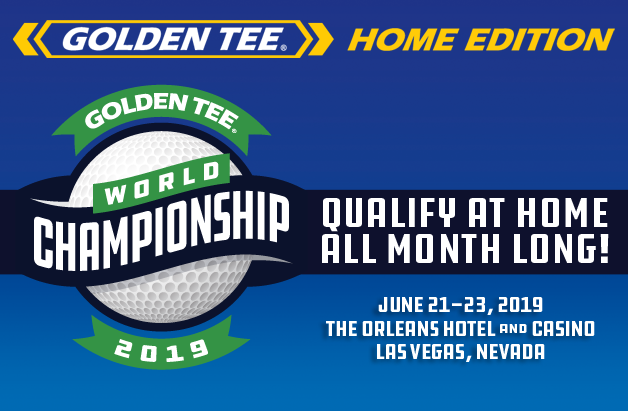 Events Mode, our brand new prize play mode for Golden Tee 2019 is LIVE! To kick off this momentous occasion, our event will be our first-ever handicapped contest, which we really view as a beta-type event. This is the most ambitious feature we've ever created - in part because we are constructing this to evolve over the course of many years. The idea all along was to build a portal on Golden Tee that we could test things players have asked for and we've wanted to try, and we've accomplished that. But this is a monster. No doubt about it. And as part of the launch, we expect there to be items that demand tweaking and we will learn as we go. We plan to have an event every other week. This will allow us time to analyze data and see what was popular among players of various skill types. 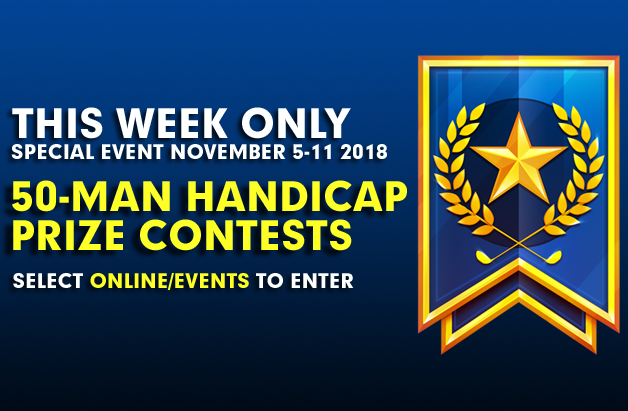 While we will start with a handicapped contest - something we know is drastically different and we will closely monitor as a result - that will look and feel like a normal 50-man contest but with far different parameters. We will then move Events mode the week of Thanksgiving to a mixed holes, Freaky Friday-like event that will take place on our new Fore! courses (a sneak peek of sorts) all week long. We cannot wait for that. In the future there will also be events with $2 entry fees. We have the ability to tweaks winds, tee boxes, difficulty, club availability and more. Also, just about our entire Worlds qualifier (coming in Feb) will take place in Events mode. Everybody on the GT developmental team has put in many, many hours of hard work. We are excited for this to launch and look forward to your feedback!